Fusion 2019 conference was one to remember!! Fusion 2019 was an amazing experience!! Our National Brand Conference was an incredible opportunity to collaborate with other people/companies in our industry. Twenty members of our BHGRE 43° North team made the trip and it was power packed with RGX. We had a blast watching the Property Brothers being interviewed by Sherry Chris on stage in front of thousands of people. The last night of the conference went out with a bang! Imagine Dragons put on a private concert for all who attended Fusion 2019!! It is always a blast to spend time getting to know each other outside of an office setting. As a team we danced the night away at Hakkasan Nightclub, ate an amazing dinner at Carmine’s in Caesar’s Palace and attended educational classes that will take our office to the next level!! We can’t wait to see what the next Fusion Conference has in store for us. It’s hard to imagine how they will top this years event, but somehow it gets better and better each time!! A huge thank you to all of our BHGRE 43° North team that attended Fusion 2019!! Better Homes & Gardens Real Estate 43° North. Be Better. FUN TIMES WITH OUR WORK FAMILY!! We don't take ourselves too seriously around here! These office awards are the HIGHLIGHT of our annual productions awards celebration! Our extremely talented graphic design team knocked it out of the park with these hysterical creations!! The Guide Real Estate Team hit the Real Estate ball out of the park in both New Construction and Resale sales in 2018! Jessica Doss had a kick-a** first year in Real Estate!! She is well deserving of this favorite annual office award! Alison Fuller stood up to the challenge when our office was under a massive transformation earlier this year! Thanks for all of your help and positivity while we were making some BIG changes around here Alison!! If you’ve ever met Chris Majors, you know why he received the Spirit of 43° North Award! His positive energy and dedication to our brokerage is contagious. You are awesome Chris!! 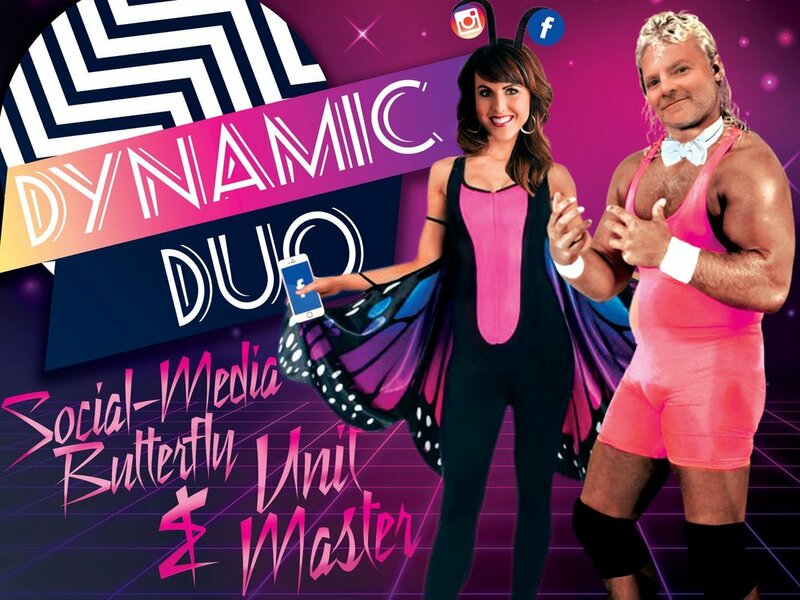 Oh these two… Shaun Urwin & Lisa Cunningham should have their own comedy show. They feed off of each others energy and conjoin their strengths to sell a BUNCH of real estate. Way to go you two!! Georgie Pitron and Joe Espy are masters in the High End Real Estate Industry! They take on and tackle any challenge that’s presented to them with a smile on their face. In 2018, Tracy Conklin sold a whopping 33 MILLION in Real Estate!! She is an absolute ROCK STAR!! 2018 Awards Brunch at Beside Bardenay!! 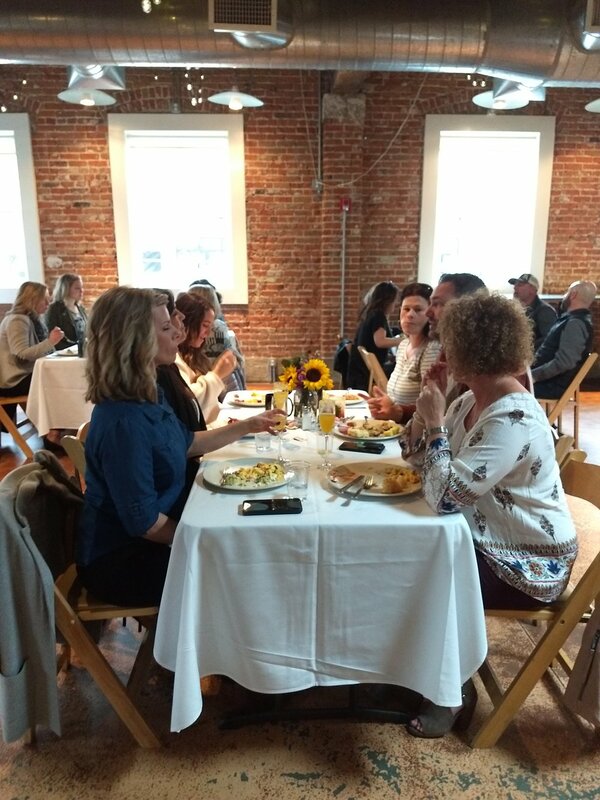 We had an amazing 2018 Awards Brunch celebrating our Better Homes and Gardens 43° North agents!! 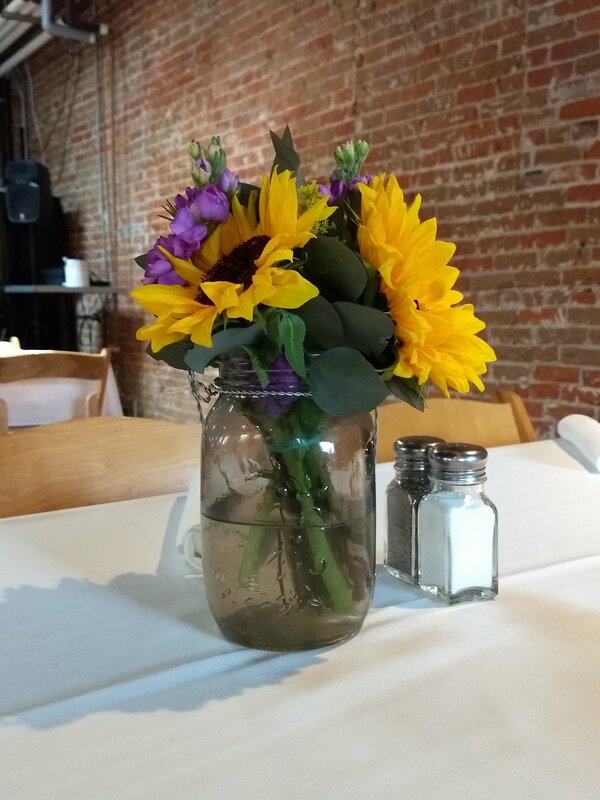 A HUGE thank you to Jeff & Lyndi Martel for putting this event together, you two always know how to throw a party! We saw our beloved Keyara Wade and finally met baby Wade!! 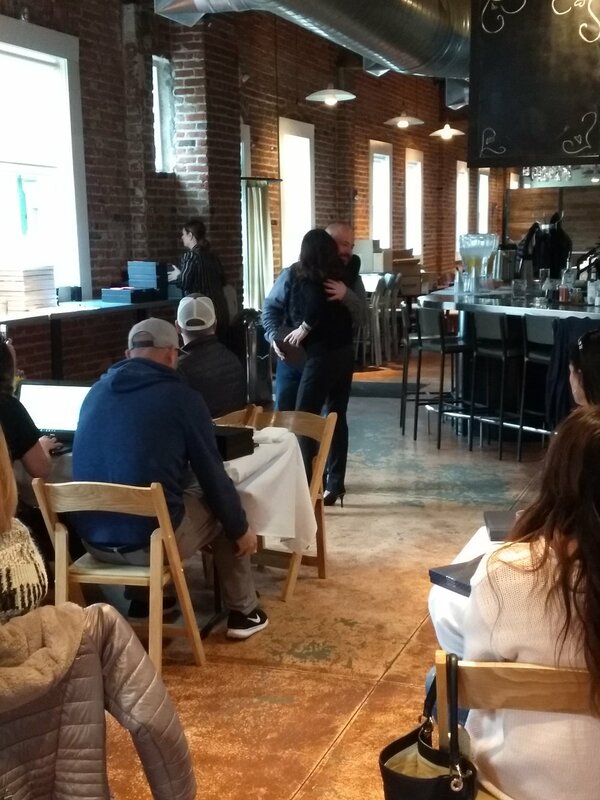 All in all, it was an awesome morning filled with laughs, good food and the BEST AWARDS for our awesome team!! We had a great new construction tour in Hillsdale Creek this morning! Despite the snow, we had quite a few agents show up to be informed about this new community!! About the community: Across from the new Hillsdale Elementary School and YMCA at “The Hill”, Hillsdale Creek is Meridian’s newest luxury community. You will be greeted by the unique entry walls and tree lined boulevard. Hillsdale Park gives everyone space with many home sites backing up to open space including a meandering creek and hills. View lots are available as well. Boasting its own community park and swimming pool with a view Hillsdale Park has something for everyone. The 2018 Christmas for the Kiddos Drive was a huge success!! Baking treats at the Ronald McDonald House in Downtown Boise! 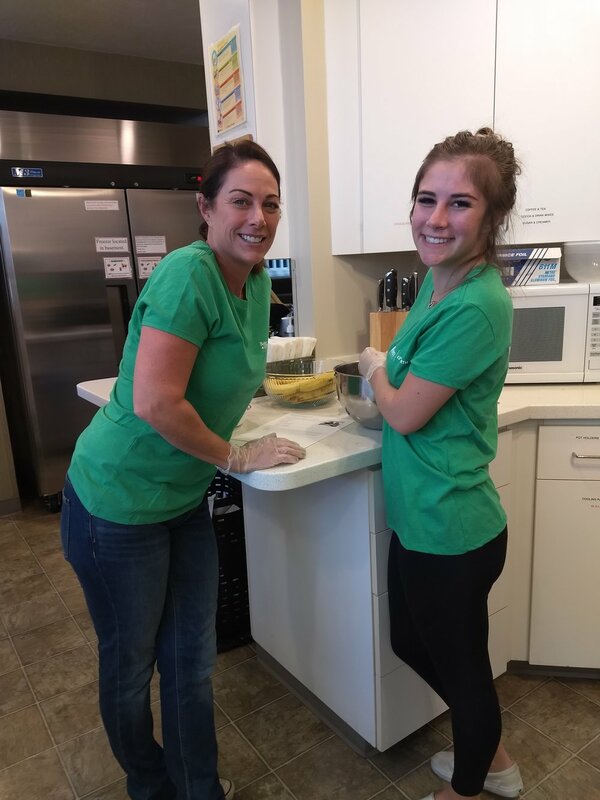 We are always so appreciative to be able to give back to our community by volunteering to bake treats for the families and residents of The Ronald McDonald House Charities in Idaho. “Families are stronger when they are together. By staying at the Idaho Ronald McDonald House, parents can better communicate with their child’s medical team and keep up with complicated treatment plans when needed. Williamson River Ranch Walkthrough with the Developer. The progress is moving right along in this upscale Eagle, ID community. We had a great time showing the developer of Williamson River Ranch the progress that is being made in this beautiful community! It's getting festive at The Village at Meridian! It's beginning to look a lot like the holidays at The Village at Meridian. The Christmas tree lights are being strung, the ice rink is under construction, the towering reindeer are on display and a long list of festivities has just been released!! Todd Campbell Custom Homes at Cartwright Ranch! We had a great turnout at the Grand Opening Party of Todd Campbell Custom Homes at Cartwright Ranch! Kerri O’Hara & Jessica Doss did a wonderful job at hosting the “Cookies, Candy & Cocktails” event! One of our ROCKSTAR AGENTS recently closed on a 3 Million Dollar Listing!! We wanted to celebrate & congratulate Debbie Smith for recently closing on a 3 Million Dollar Commercial Property! Our agents that close a million dollar & over listing will enjoy a bottle of Dom Pérignon on us. Weekly Tuesday Meeting with Chris Petersen from the IMLS! We are kicking off the morning by meeting in our office for our weekly Tuesday meeting! Chris Petersen is giving our agents a refresher in IMLS Rules. At BHGRE 43° North, we bring the classes to you. We host numerous CE classes right here in our office at The Village at Meridian for our agents' convenience! Berkeley Building Co. gives back to our community in Hillsdale Creek. The 2019 St. Jude Children’s Research Hospital Dream Home is officially underway. A beautiful night for the groundbreaking, where so many of our sponsors, suppliers and trade partners joined in the ceremonies to kick-off what promises to be a record breaking year. Stay tuned as we work together to bring you all something truly special in benefit of the children and families of St. Jude. 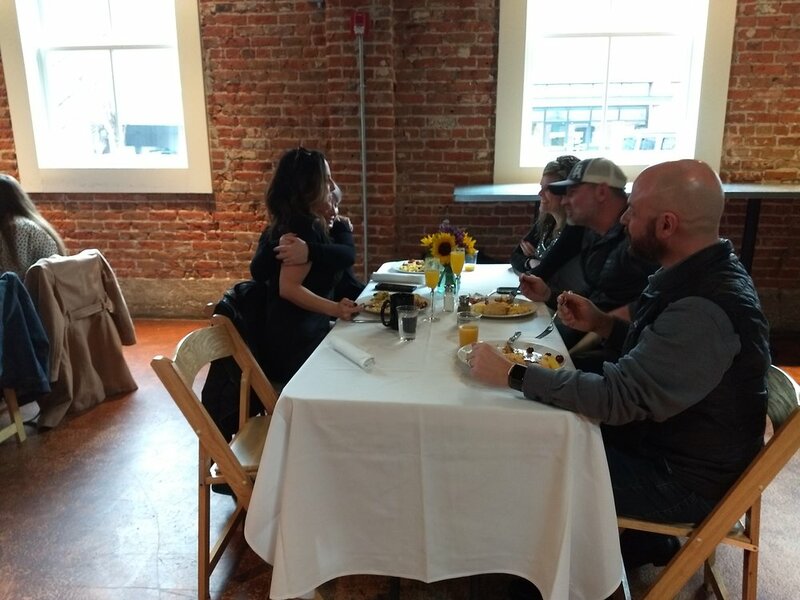 We’re so thankful to have wonderful Building partners like Berkeley Building Co. who make giving back to our community such an integral part of their business. Not only do they build beautiful homes, they build a better community for all of us. Stay tuned as we work together to bring you all something truly special in benefit of the children and families of St. Jude. Volunteering at The Ronald McDonald House in Boise, ID! We had another wonderful time volunteering to bake goodies for the Ronald McDonald Idaho Charity. Thank you to our volunteers for giving back to the amazing community we live in!! We were spoiled today by our kind brokers, Jeff Martel & Keyara Wade! 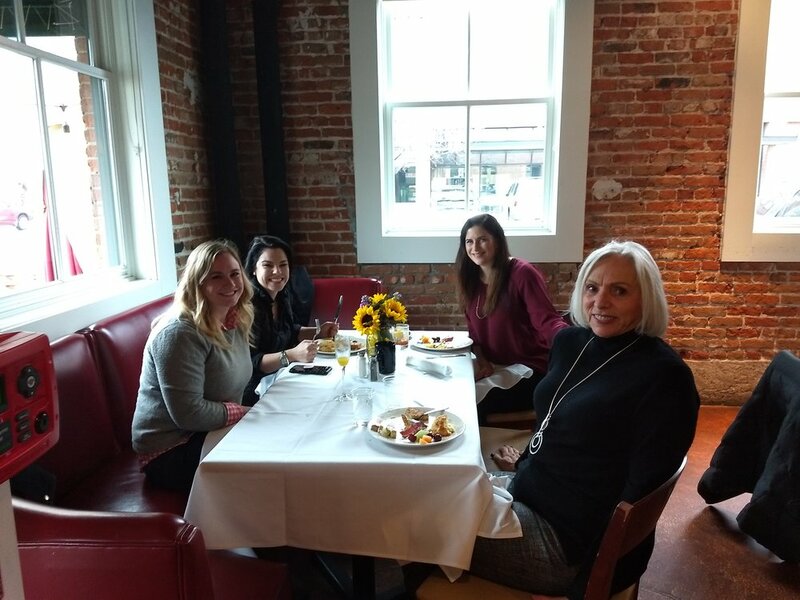 Thank you so much for showing appreciation for the women in our office and brokerage. The food and company were amazing!! It's always a great time when we get to spend time together outside of work. New Forms Discussion at our Tuesday Team Meeting! This week's team meeting was focused on the NEW FORMS that were released in July of this year!! There have been a lot of changes made and it's important to take the time to understand them. At our brokerage, we value educating and helping each other out! Panel of experienced agents gives great advice at office meeting! To the general public or new agents, the idea of sitting an open house may appear to be relatively simple. Put out open house signs with balloons attached, have fresh baked cookies waiting on the counter and approach the potential buyer with a handshake and smile. Those simple steps will guarantee a contract written up towards the end of the showing right? In most cases, it takes time for an agent to find their niche and build their confidence talking to potential buyers in an open house setting. For this reason, our office decided to select three experienced and successful agents that represent our brokerage to host a panel discussion. Agents, both new and experienced, spent an hour receiving advice and engaging in dynamic conversation regarding open house etiquette. Jason Williams, Georgie Pitron and Daniel Doherty have all worked in both resale and new construction. After listening to their advice, I walked away with the understanding that what might work for one agent in an open house setting may not work for another. An agent needs to pay attention to what feels natural for them and as a result, their niche will evolve. Here are some of the highlights from the panel discussion! I hope you find the advice as beneficial as we did! If you're the one holding an open house, you're #1 responsibility is to your seller. Be reasonable, honest, and set realistic expectations for what the results of the open house may be. Time is valuable. Arrive 45 minutes early to set up signs, flags, balloons, etc. Nothing appears more unprofessional than an agent arriving late to their own open house! For safety, it is important to let the potential buyer lead the way into rooms throughout the house. As an agent, always be the one closest to the door. If you're hosting an open house by yourself, keep an extra pair of shoes by the front door. This can give the illusion that you're not the only agent hosting the open house. Advise your seller to hide any valuables or accessible prescription medications. It is also important to obtain knowledge about the community your hosting the open house in. What are the positives to living in this community? How many other homes are for sale in the community? You can even go door knocking and ask neighbors their opinion of the area and invite them to the open house as well. Before leaving the open house, make sure the home looks like it did when you first arrived. Double check and make sure all windows and appropriate doors are locked. Turn off the lights and leave home tidy! Amazing turn out for Christmas for Kiddos!! 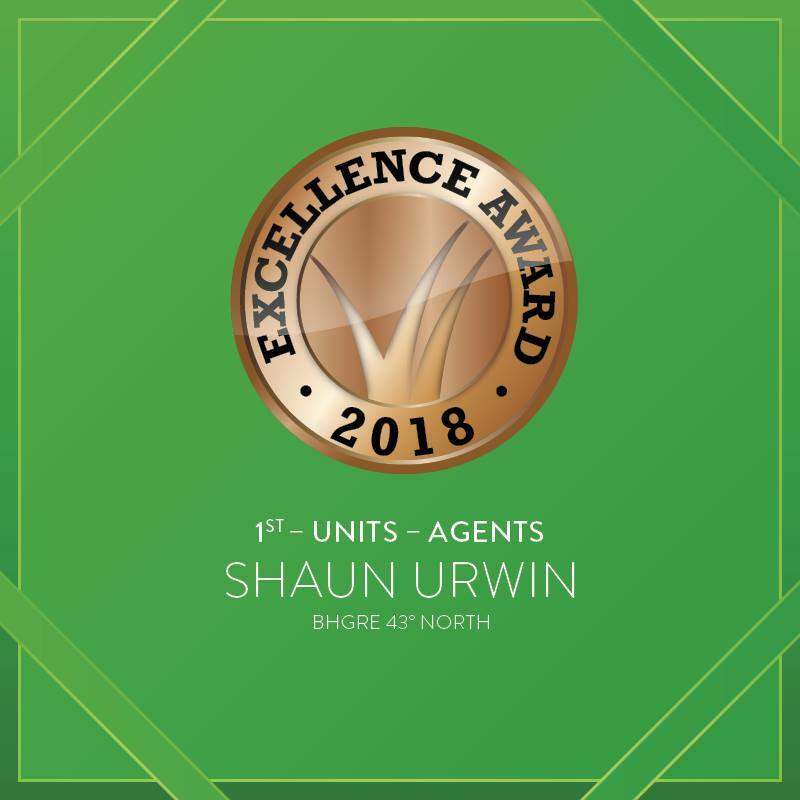 This wouldn't have been possible without the generous contributions from our BHGRE 43 North agents and office staff. May we continue to keep the "holiday spirit" throughout the year and go out of our way to show and share kindness with others. 3rd Annual Christmas for Kiddo's Drive!! This time of year, it is important to reflect on the blessings we have in our lives. It is a significant life lesson to remember that no matter how difficult of an obstacle you are facing, there is someone out there who wishes they could trade places with you. We are excited about this years opportunity for our brokerage to help make a family's Christmas wish come true. Better Homes and Gardens Real Estate 43 North has been fortunate to work with the caring staff at Lake Hazel Elementary school for the last few holiday seasons. We were ecstatic to learn that this year we will be helping a deserving family of nine celebrate this special time of year! This family is very kind, modest and temporarily in a difficult spot. 1. Donate $$$ to the fund so together we can give this family in our wonderful community the Christmas they deserver. 2. Help us shop. A BHGRE 43 North group shop-a-thon will be organized to get everything on their list. 3. Help us wrap gifts. A BHGRE 43 North group wrap-a-thon will be held at the office on Monday, December 18th in preparation for delivery on the 19th. We appreciate the donations we have already received and can't wait to see how many other caring individuals donate to this much needed cause. We can all make a difference in the lives of this family if we all pitch in! Thank you and Happy Holidays!! This last Saturday was busy for BHGRE 43 North. The morning started with volunteers from our office participating in Rake Up Boise and ending with a fun filled family night at Big Al's in Meridian. We had a great time early Saturday morning giving back to our community by raking a yard for an appreciative participant. This event was a wonderful opportunity for our agents and office staff to build relationships and show appreciation for the community we live in. 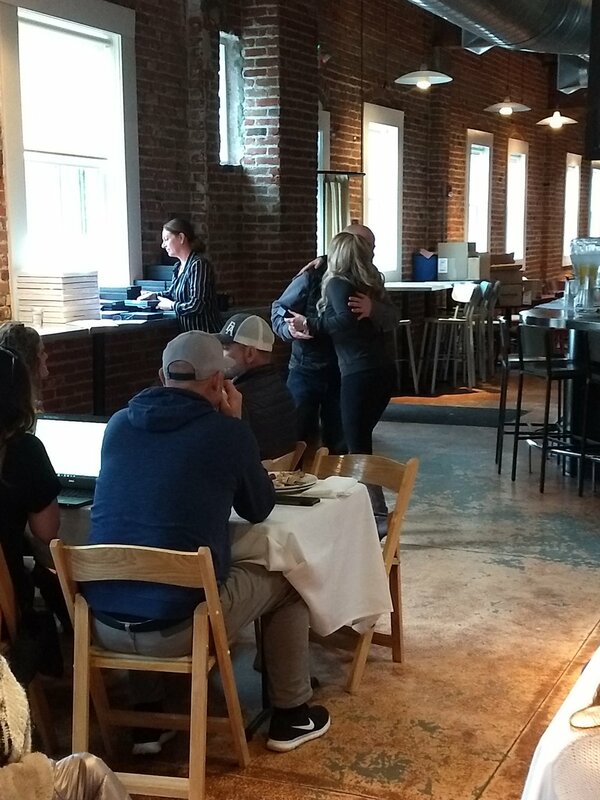 Later that night, office staff, agents, and their families met at Big Al's in Meridian to celebrate the hard work agents have dedicated towards the second listing competition of the year! Our Brokers' wife (Lyndi Martel) organized an enjoyable and entertaining night filled with great food, bowling and laughter. Our brokerage truly cares about showing appreciation for all agents and office staff who make BHGRE 43 North a wonderful place to work. It was no surprise that Tracy Conklin knocked the listing competition out of the park. From the day the competition started in June until the day it ended in November, she was able to list 27 homes for clients. She is a true Real Estate Rock Star and well deserving of the $5,000 listing competition prize. She plans to take her family on an unforgettable vacation with the prize money! 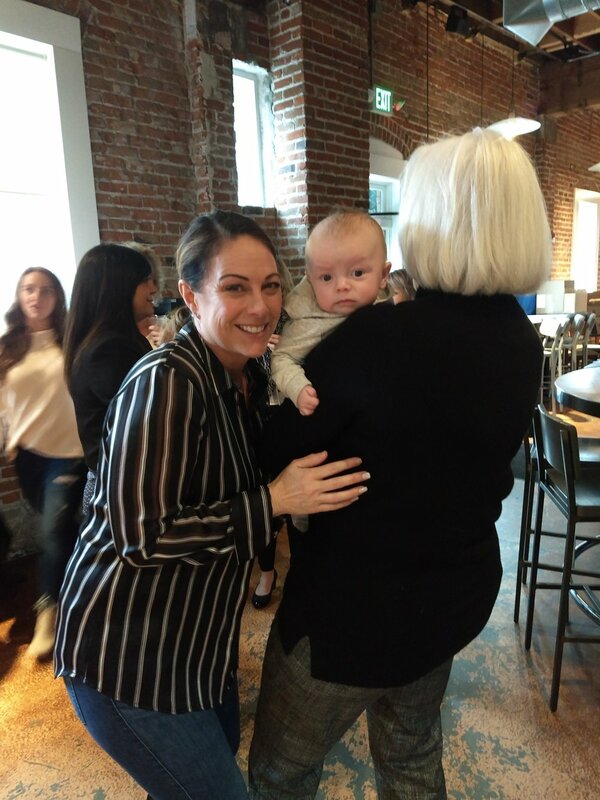 She gave some great advice to agents about listing homes, "I have found that the most important thing in listing a home, is the upfront legwork I do. The more I can do before the house even hits the market, the smoother the selling process goes for everyone. 1) Set realistic expectations. Their job is to get their home ready to sell (see the paragraph below), have the home show ready and accommodate showings...your job is everything else. 2) Do a staging walk through and discuss how to market the home properly. Make a list of items to remove, suggest items to add to the home, and compile a list of upgrades. This will be valuable for the listing, and will be an asset to the appraiser as well. 3) Blast it out everywhere the evening before it hits the market...create a buzz about the property. Put it on Facebook, your blog, work it into conversation, send out an email to top agents, get in on Craigslist. If it doesn't move quickly, adjust photos and verbiage to keep it fresh online. The more prepared I am, the better my listings look once they hit the market. And the happier my clients are." 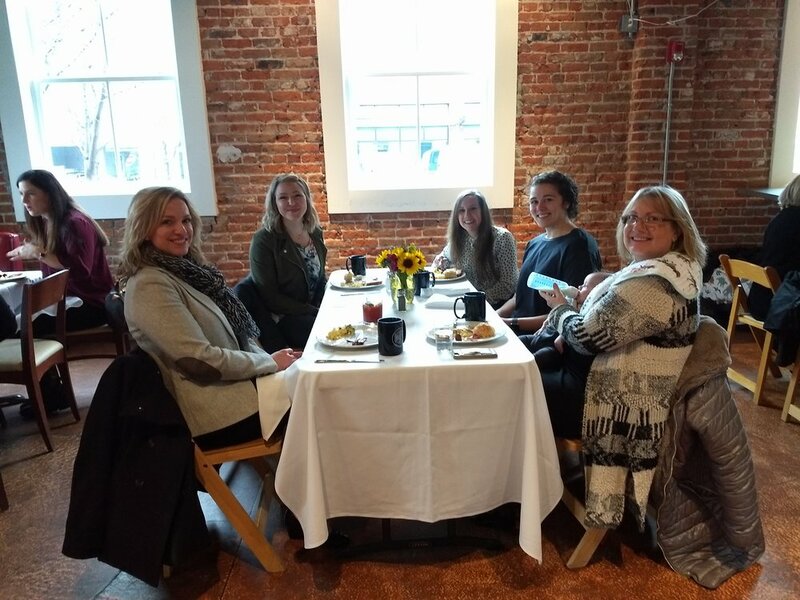 At Better Homes and Gardens Real Estate 43 North, we value the beautiful community we live in along with all who contribute to making our office an enjoyable place to work!